Dr. Bryan Powell leads Higher Education Initiatives for Little Kids Rock. Bryan is former New York City Public School music teacher, working in an East Harlem public school for 11 years. 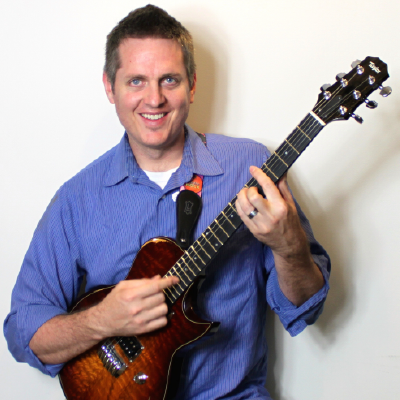 Bryan also teaches music education classes at various colleges an universities in the NYC metropolitan area. Bryan is the founding co-editor of Journal of Popular Music Education, a peer-reviewed, academic journal that seeks to define, delimit, debunk, disseminate, and disrupt practice and discourse in and around popular music education. Additionally, Bryan serves as the Executive Director of the Association for Popular Music Education, an organization dedicated to promoting and advancing popular music at all levels of education. APME seeks to bring together all involved in the pursuit of teaching and making popular music by facilitating educational opportunities for teachers and students to develop innovative ways to create, perform, and teach popular music Additionally, Dr. Powell was recently recognized as the first-ever International Affiliate for the UK-based organization Musical Futures. In 2016, Bryan was elected as the chair-elect for the National Association for Music Education (NAfME) Special Research Interest Group (SRIG) in Popular Music Education. His research has been published in peer-reviewed journals including International Journal of Music Education (IJME), Journal of Music, Technology and Education (JMTE), the International Association for the Study of Popular Music’s IASPM@Journal (IASPM), and Action Critique and Theory in Music Education (ACT). Dr. Powell also co-edited a special issue on popular music performance in the Journal of Music, Technology, and Education (vol. 8, issue 2). Additionally, Bryan is editing two book projects focusing on popular music education. The first book, in contract with Routledge, is entitled The Music Learning Profiles Project: Let’s Take this Outside. The second book, Perspectives and Practices in Popular Music Education, is in contract with Bloomsbury Press. Bryan has a chapter published in the Routledge Research Companion to Popular Music Education and has book chapters accepted for publication in the forthcoming Oxford Handbook of Social Media and Music Learning and the Oxford Handbook of Philosophical and Qualitative Perspectives on Assessment in Music Education.